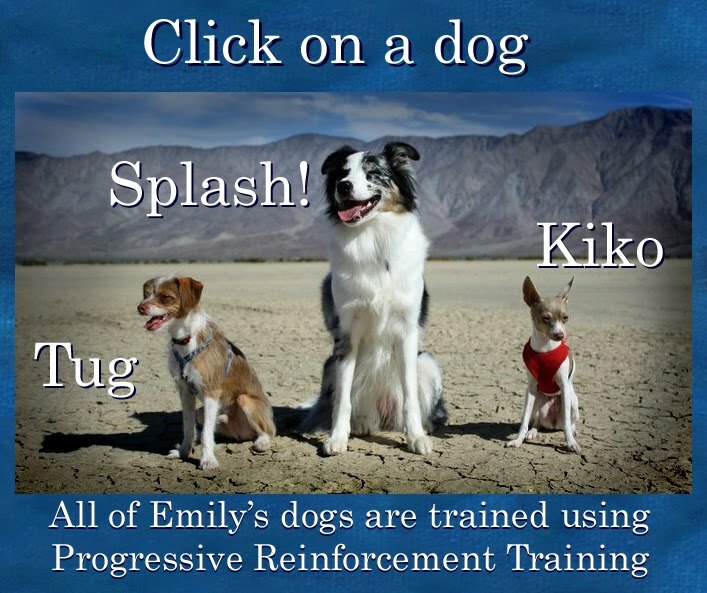 Chasing games are a great way to play and interact with your dog and build your reinforcement value to your dog. 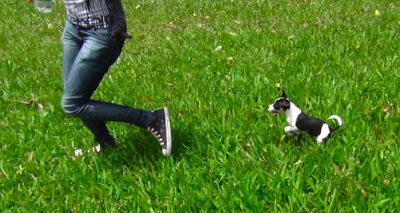 However, the easiest game to play is to have your dog chase you, rather than you chase your dog. Some dogs can find chasing so reinforcing that they might start offering running away whenever you approach them. If you put rules on the game where you chase your dog, you can make sure your dog will not run away from you every time you run towards your dog. One way of doing this is to have a cue to mean "run away, we are playing the chase game". Another option is only play the chase game in one particular place- like around a sofa in your house, or in a certain place in your house, and never encourage the game anywhere else. Thank you for sharing that Emily! I wish I had known that before I got my dog :) As a pup, Elliot was not very interested in toys when we were outside, and the chasing game was the only option (I thought) to play with him - which we did a lot. yes! !chasing game is nice way to train your dog and play with yopur dog...!